Keeping a boiler in tip-top condition requires an annual inspection from a gas-elec engineer. All of gas-elec’s engineers are listed on the Gas Safe Register, the only official list of gas engineers who are qualified to work on gas installations and appliances. 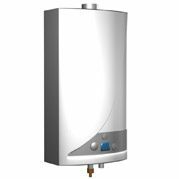 The exact procedure of a boiler service will vary according to the type of boiler you have: it is useful if you have the manufacturers’ instruction book to hand. But generally the boiler will be fired to identify faults, the casing removed to assess components and the flue (your boiler’s exhaust pipe) inspected to make sure it is unobstructed. The gas valve will be adjusted to ensure the burner is combusting as it should and the inside casings cleaned along with the boiler parts if necessary. Finally, gas-elec engineers will check for leaks and reseal the casing. At the end of the boiler service, if it passes, they will issue a certificate. A neglected boiler can be a source of leaks and carbon monoxide poisoning – which kills one person in the UK every week and leaves four more seriously ill. If the property you let, or manage for a landlord, has a gas boiler you should have it serviced every 12 months. Under gas safety regulations, you are responsible for the safety of your tenants. When a gas-elec boiler service is carried out it might show a build-up of dust or debris on the appliance and internal components or signs of sooting. The thermocouple, a wire which shuts off the gas supply if your pilot light goes out, and fans on central heating boilers may weaken over time and could need replacing during a service visit.